Life can be hectic and busy. That’s why we have made prescription refill as easy as possible for our customers. If you’re on the go, take advantage of our drive-through pickup. Elderly patients or people in need are a great fit for our free delivery services. If convenience is the name of the game, sign up for automatic refill or refill your prescription online with just one click! No matter where life has you, we have a refill method to fit your needs. Just call our pharmacy at (830) 997-8155 or email valumedfbg@gmail.com to get started. Access your prescription anywhere you have internet service. Prescription refill is just one click away. Download our new Mobile App from iTunes to manage medications straight from your smart phone or tablet. Sign up for our text message alerts and we‘ll text you when your prescription is ready! Free delivery is always available to those in need. Call our pharmacy and ask us to come to you! 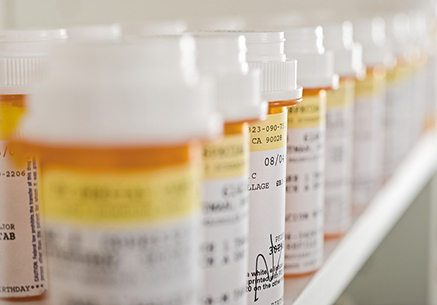 Streamline your medications and save time by setting up auto refills and reminders. Let’s face it. Sometimes it’s just easier to stay in the car and drive right up! 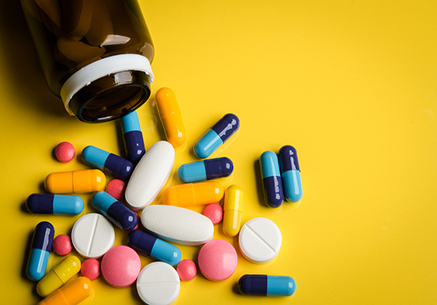 Not only do we offer the quickest pharmacy service in town, but we keep our shelves fully stocked with a variety of ‘grab & go’ over the counter medications. We carry all the name brands you know and trust in categories such as Cough/Cold, Pain Relief/Management, Allergies, Vitamins, Eye Care, Oral Care, Sleep & Sleep Aids, Feminine Care and more. We also have a complete line of Kids Care products such as Children’s Pain Management, Cough/Cold, Allergy/Sinus and Ear/Nose/Throat. On your next visit, we invite you to browse our offerings and pick up whatever you need to keep you and your family happy and healthy.